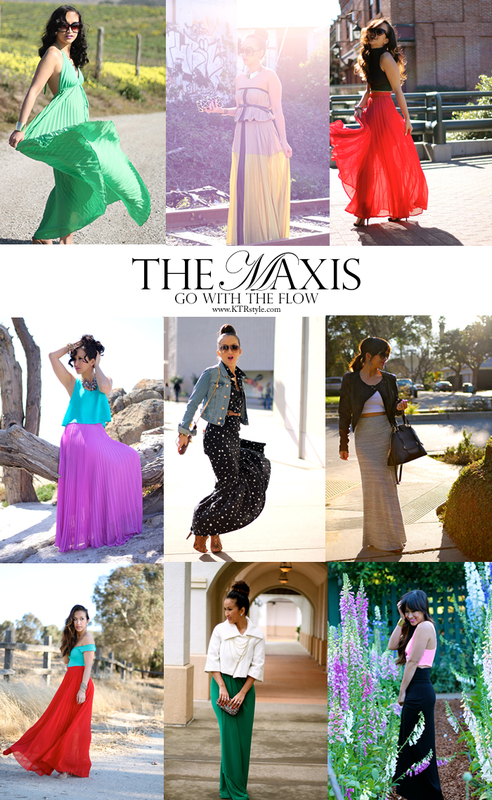 Below are a few of my past maxi looks. It’s obviously I love maxis. Which one is your favorite? Love the skirt and the color is fabulous! All the pics with maxi skirts is great! Looking goood! 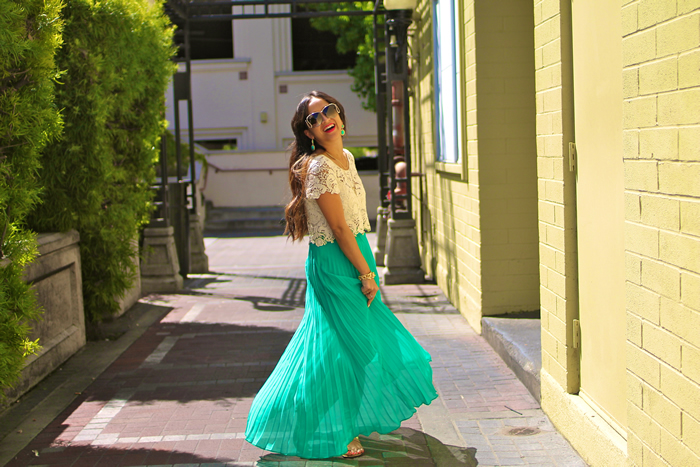 I love the way you style maxi skirts! First thanks for your comment on my blog! You have such a lovely blog and I really love this outfit! It’s super summery, and I adore your skirt ! The color of your skirt is gorgeous! Love this outfit! You are the queen of colours and I absolutely LOVE this pleated long skirt. Green (as well as purple and orange) look just awesome on your beautiful olive skin tone! I am loving that skirt and the top is so pretty!! 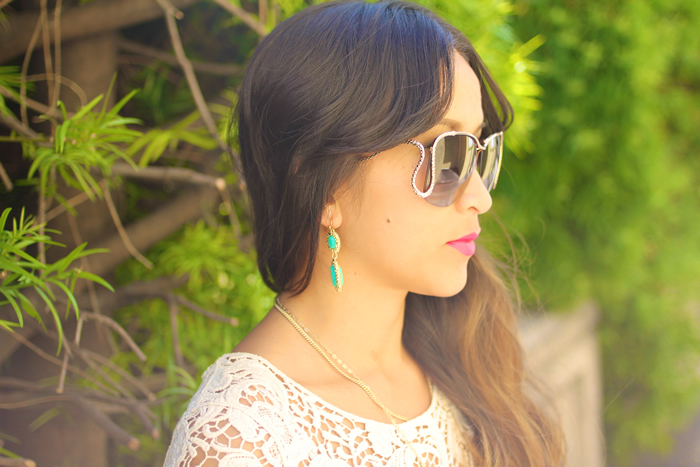 I love the FABULOUS sunnies, to me this outfit is absolute perfection and you hair is getting so long! You are so beautifull babe ! I love maxi dress, very nice outfit! Follow each other on bloglovin? Let me know if you follow me.. Such a beautiful look…love the femininity and the emerald green color of the maxi :) I think my favorite is the 2nd picture with the color blocking maxi dress..amazing! Love this outfit, you look gorgeous. 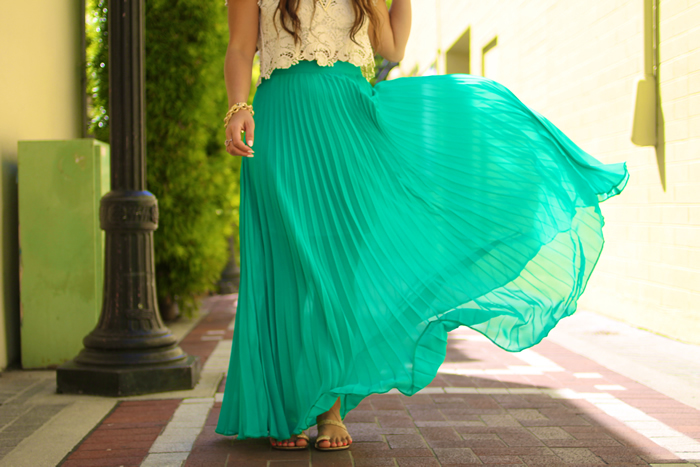 Pretty skirt. I love this outfit. How did you make the skirt puff out? It looks stunning when you do this. Omg you looks so gorgeous!! I love the last two photos, looks like you’re having a blast! Like you I am really short (4’11”) and have always been intimidated to wear maxi skirts. I felt like they would over power my small frame but you have given me inspirations to try this look and I have to say I am in love! I purchased my first maxi dress a few weeks ago and was wondering how to style it! I love the polka dot dress with the denim jacket and the green maxi dress. All of your outfits are so pretty!!!! !